After a string of resignations and accusations that the Student Government Board devotes too much time to the allocations process, SGB pledged last night to shift the focus from campus funding to campus life. 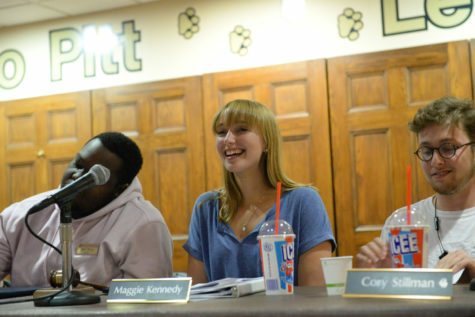 Board members addressed the student body about the recent resignations and announced the application process to fill spots at its public meeting on Tuesday in Nordy’s Place. Board President Mike Nites extended the deadline for applications from Friday, April 4, to Saturday, April 5, at 5 p.m. because the Board moved interviews from Saturday to Sunday. The Board came under fire during former Board member Brandon Benjamin’s resignnation, when he accused SGB of placing too heavy a focus on the allocations process, which prevented Board members from actually helping the student body. Hufnagel said the Board “has already acknowledged that too much time is spent on allocations” in a meeting with Kenyon Bonner, head of Student Life, and Kathy Humphrey, vice provost and dean of students, and that board members are considering raising the current threshold of the allocations from $500 to a higher number so that more of the Allocations Committee’s decisions will be final. The current policy holds that any decision the Allocations Committee makes on an allocation request that is less than $500 is final and does not go to the Board for deliberation. Hufnagel said that if the Board raises the threshold, it won’t have to deliberate as many requests, adding that Bonner and Humphrey support the Board’s decision to decrease the number of allocation requests heard by the Board. Hufnagel will no longer be the newest Board member after applicants fill the spots of former Board members Benjamin and Ellie Tsatsos, who announced their resignations at the Board’s public meeting last Tuesday. Eight students have applied to fill the seats so far, Nites said. 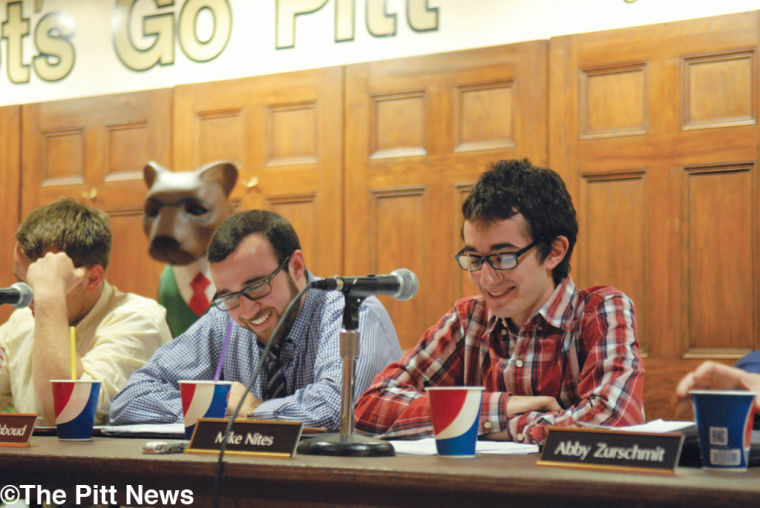 Thirty-four students applied to fill the first Board member vacancy after Radziwon resigned. Nites said that if the number of applicants is low, the Board will hold one round of interviews, and each individual interview will be longer. The location of the interviews has yet to be determined because Nordy’s Place is already booked for the interview date, and Nites said he will post the decided location on the SGB website. “I think it’s even more important now that we do a little bit longer interviews and make sure we’re picking the right people for the position,” Nites said. Nites said the recent series of resignations could deter students from applying for the Board positions. “There will probably be a lot of questions and speculation based off what [the applicants] read or hear,” Nites said. Nites remains optimistic about the incoming applicants and said he and the other Board members will reach out to potential applicants through email and tabling. Nites uploaded a revised application form to the SGB website last Friday. In addition to basic information such as the student’s major, year and GPA, the revised application includes three essay questions and a space to attach a proposal for any projects the applicant plans on carrying out if he or she becomes a Board member. The essay questions ask each applicant to explain why he or she is motivated to seek a position on the Board, what criticisms the applicant currently has of the Board and how the applicant would approach a hypothetical situation where an administrator doesn’t agree with the applicant’s initiatives. Nites, Kazour and Hufnagel met last Friday to compose the essay questions. The Board members announced the progress they have made so far during their terms, despite the recent resignations, and their plans to better the Student Government. “We firmly believe that no criticism should go unnoticed,” he said. Board member Andrew Abboud said that when he and the other Board members began their term in January of this year, the Board members made changes to SGB policies. Abboud said that the Board voted to overhaul the SGB Code of Ethics and repeal the 2013 Media Policy. The Board also decided to publicly vote on its own budget and make that budget available for students to access on the SGB website. “We decided collectively that we wanted to prove to the student body that we are a team holding ourselves to the highest level of accountability and transparency,” Abboud said. Board member Abby Zurschmit added that the Board also established a stricter attendance policy for Board members. “The expectation became that [for] an elected representative of the entire student body, SGB will become first priority over all other extracurricular commitments,” Zurschmit said. Board member Graeme Meyer added that the current Board re-established mandatory one-on-one sessions between Nites and Board members to discuss project updates. Board member Sara Klein said that before the changes to the Allocation Manual that the Board voted on last week, the Board met with Student Affairs Affiliated Groups to discuss how the changes made to the Allocations Manual would affect the student groups. “We will continue to keep student organizations involved in the Allocations Manual revision process before making any final revisions,” Klein said. Nites concluded the Board’s announcements by acknowledging the flaws in SGB’s system. 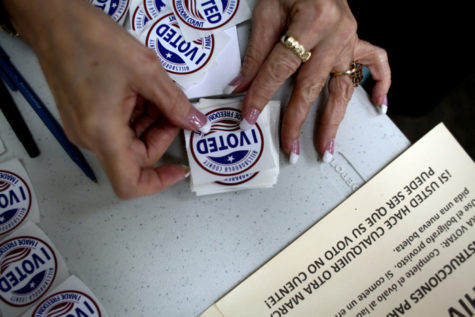 “However, we are here to make changes and to fix the problems we face,” Nites said. Hufnagel said he is accepting applications for office and storage space for students. There are 11 spaces available, and 12 students have applied according to Hufnagel. The applications are due through email to Hufnagel by Friday at 5 p.m.
Zurschmit is working on an app program that would allow students to look up facts about Pitt dining, such as menus and nutritional facts. Kazour and Meyer said that they met with representatives from USA Today last Friday for an annual meeting to discuss the Collegiate Readership Program. Reformed University Fellowship requested $2,000 for four people to attend the RUF Conference in Florida. The Board approved the request in full because the group only attends one conference a year and this was the first request of the semester made by the group. Panther Hurling Club requested $1,060.30 to compete in the National Tournament in New York. The Board approved the request in full in line with the allocations recommendation. UPTV-21 requested $1,898.77 for new equipment so the group can set up live streams on their channel. The Board approved the request in full in line with the allocations recommendation. Brazil Nuts requested $2,168.68 for their annual Brazilian Festival. The Board approved the request in full in line with the allocations recommendation. Hindu Student Council requested $647 for color and disc jockey fees for itsHoly Celebration at 12 p.m. on April 6 at Black South Hill. The Board approved the request in full in line with the allocations recommendation. National Residence Hall Honorary requested $656.50 for giveaways, prizes and decorations for their Recognition Banquet. The Board denied the request in full in line with the allocations recommendation. Anointed Steps of Faith requested $618.30 for T-shirts and tech equipment for their annual Spring Show. The Board approved $393 and denied $225.30 in line with the allocations recommendation. Panthers Field Hockey requested $2,118.28 to compete in the National Spring Tournament at Virginia Beach, Va. The Board approved $910.88 and denied $1,207.40 in line with the allocations recommendation. Panther’s Women’s Rugby Football Club requested $1,391.60 to compete in a playoff game at James Madison University. The Board approved $1,244.80 and denied $146.80 in line with the allocations recommendation. The Board has allocated 168,878.31 this year. Black Action Society requested a budget modification of $21,353 for airfare and transportation for Taraji P. Henson, an actress and motivational speaker, to come to campus to speak April 7 at the O’hara Student Center. The Board approved $20,545 and denied $808 in line with the allocations recommendation. Black Action Society requested a budget modification of $3,500 to bring Joshua Pollard to campus to speak on campus on April 10. The Board approved the modification in full in line with the allocations recommendation.